Central Print & Reprographic’s in Eugene, Oregon, can help you to keep your printer up and running. When you start having problems, you feel frustrated because you have an important project coming up that you don’t want to be late on finishing. It’s for an important client, and to be late on the project would look bad. Here at Central Print and Reprographics, we have dedicated much our time to thinking and helping customers to get a much better deal on their printer repairs. When people walk through the doors of our establishment, our staff greet you with a smile. We understand the importance of customer service from the beginning to the end. You can’t underestimate the assistance that we give. People who visit us have noticed how we have deadline-oriented technicians who show up when they say they will, and they fix the problem as quickly as possible. We understand that you have a timeline that you have to fulfill, and that’s why we don’t mess around when it comes to helping customers. As an architect or project planner, you can’t afford to lose precious time because it can put your entire construction project behind. Something as simple as the plotter malfunctioning can turn your entire project into a nightmare of tedium. You can find yourself weeks behind schedule and have an angry client as a consequence of it. It’s important that you try to address these concerns as quickly as possible to deal with them in advance. The construction industry faces a lot of demands and deadlines that you have to keep up with. Most of the time, when people imagine having a printer repaired, they think of a piece of junk that breaks down constantly. However, you can have the best model and still have problems with it breaking down. This is a fact of life. As it performs its tasks, you have a lot of moving internal parts. This leaves a lot of room for things to go wrong. When you experience problems with your printer, having a technician who can respond promptly is one of your greatest assets. Every printer, as it starts to age—like cars—will begin to experience problems. You want to keep the repairs from happening, but the best way of doing this is through hiring a technician who has a deep and thorough understanding of how this stuff works. Here at Central Print and Reprographics, we have taken the time to hire a team of all-stars that understand the process of printing. This can mean a great deal of work, but we will be there for you no matter what. Who Benefits the Most from our Eugene Oregon Services? We would have to say that the people who can benefit the most from our services are the business owners. Our business proudly serves the Eugene community with solid services. We’re here because we want to keep you from experiencing crippling problems during its operation. Everything must run smoothly and remain in good shape. These are all important things that will keep your business running well and your customers will stay happy. Experience does play a major role in fixing a printer. You won’t find another company in the area that has as thorough of an understanding of how to fix problems quickly. During our time in this industry, we have seen many things. We don’t treat any job as too small, and at the same time, we’re not afraid to take on the bigger tasks either. For example, maybe you have a few malfunctioning CAD printers that need repair. Our technicians will stand behind you and back you from the start to the end. We believe that customer service runs in a circle, and it never ends. This is a process of ensuring that customers always receive what they truly wanted. We offer fast and affordable repairs to our customers because we care about your happiness. This is the type of customer service that we would want. You’ve come to the right place to get the printing help that you deserve. Our technicians repair your printer with dependable parts, and we can also perform regular maintenance on your printers so that you catch the expensive repair problems before they have the chance to blossom into a multi-thousand-dollar repair. In general, we recommend that you have printer maintenance performed once every two years at a minimum. Like most of the products we own, your printer will last much longer when you take care of it. We have seen it many times where even a problem as minor as a paper jam led to serious problems later. Instead of letting this frustrate you when it does happen, you could refer to the owner’s manual. However, if the problem seems to keep occurring, it could be due to a deeper-seated issue. In those cases, we recommend that you hire someone who understands how to help. 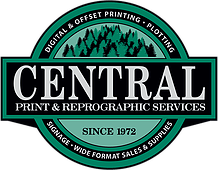 At Central Print, we offer our assistance to customers because we believe that we’re some of the best in the Eugene, Oregon, region. You will have a hard time finding experts who can do a better job at keeping your printer up and running. We can also show you how to properly care for your printer so that it will continue to run for a long time. Nowadays, the lifeblood of businesses depend on the quality of their technology, and you can’t remain effective if you have to constantly repair your printer because it doesn’t work. We are the official repair center in Eugene. Bring in your printer today to get an accurate repair cost or call us at 541-342-3624.